Since 1987, the service team at Colonial Outdoor Services has been providing a wide variety of professional grounds and paved surface services. East Coast provides all types of maintenance services, plus sweeping, landscaping and snow removal. Sweeping + Complete Building & Property Maintenance. 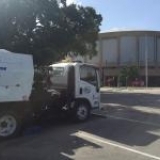 Since 1963 PAM Sweeping has been providing parking area and street sweeping in New York. 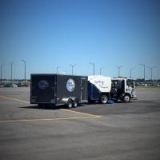 Today, we also offer a variety of other pavement services.